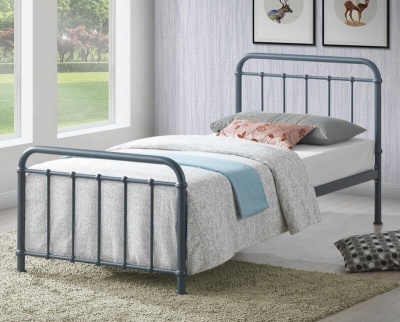 A fantastic choice for modern bedrooms. Fresh sleek style with slender oak finish legs and attractive head and foot-boards. Lasting design works with many interior schemes enabling you to change your decor as often as you like. Constructed with hardwood legs and powder coated steel for a strong and sturdy build.